Travis is responsible for DotMusic's Premium Channel development at DotMusic and big data analysis. This includes delineating, organizing and developing all of .MUSIC's community types into Premium Channel communities e.g. rock.music (genre music communities), french (language music communities), guitarist.music (instrument music communities), paris.music (geographic communities), lawyer.music (profession music communities) etc. Travis holds two degrees in computer science and programming. 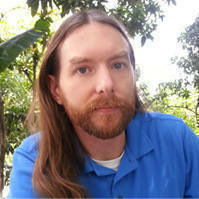 Travis has experience in big data analysis and has worked in all aspects of the domain name industry. This includes managing technology platforms at Thought Convergence, the owner of Domaintools.com (the most popular Whois Lookup tool on the internet) and TrafficZ (which offers domain owners and aggregators a platform to manage, analyze and maximize their return on domain investments). Travis was responsible for generating substantial revenue for TrafficZ by analyzing traffic, clicks and keywords being utilized to fine tune the traffic acquisition and keyword targeting for maximum click through rates to maximize return on investment. Travis was also the Doubleclick architect (a Google-owned advertising platform formerly known as DART -- Dynamic Advertising Reporting and Targeting -- an ad-serving technology which allowed clear targeting and reporting of ad-serving for websites within Doubleclick's/Google's network and technology sectors) for Velocity Services and their premium portal platform targeted for major brands, which included MLB, Neopets and PBR. When Travis is not on the computer he is playing his guitar. Travis has been a musician all of his life, and grew up in honky-tonks playing with his father's band.